A series of films hosted by Internet Archive that show the aftermath of the earthquake and efforts to rebuild. The films are available in a variety of file formats of varying quality, and are digitized from period silent films of the disaster. Included in the collection is an Edison newsreel from the period, as well as footage of trolley rides through the destruction. 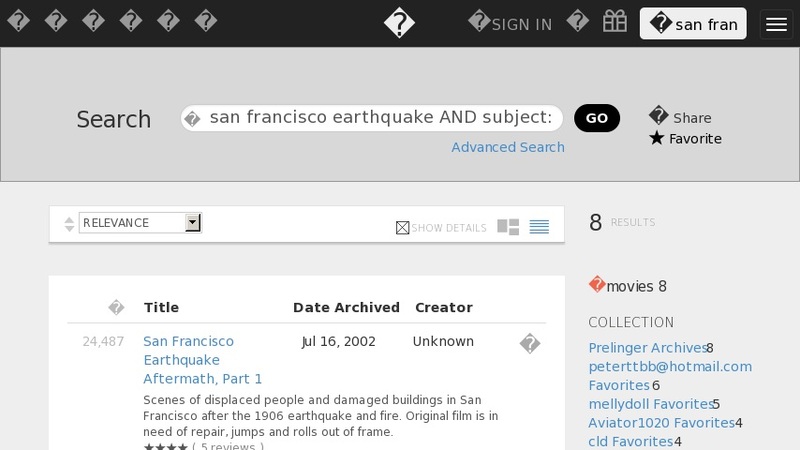 ↓http://www.archive.org/search.php?query=san francisco earthquake AND subject:"Earthquakes: San Francisco, 1906"